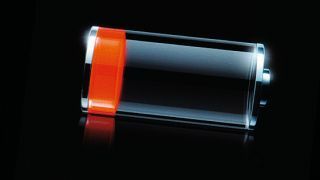 The days of phones exploding could be behind us as researchers have developed the first non-flammable lithium-ion battery. That could mean an end to exploding iPhones, exploding iPods, red-hot Galaxy Notes and the rest. The scientists at the University of North Carolina say they've replaced the flammable solvent used in Li-ion batteries with a non-flammable alternative, and that it could result in longer battery life too. Score! The only downside is that the researchers aren't yet sure that the new style batteries can handle constant charging and recharging. Until they figure that out, you'll have to keep the fire extinguisher on stand by.